In a video update today, Ben Brode alongside Hamilton Chu, Yong Woo, Jomaro Kindred, and Michael Schweitzer announced that Second Dinner is funded and ready to hire a team! For their first title they're partnering with Marvel. They're currently looking for a Unity Client Engineer and a Technical Artist. 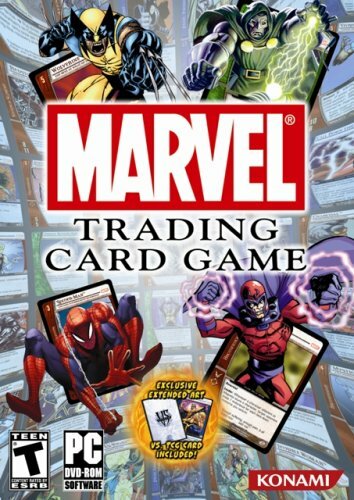 Marvel Super Hero Squad card game? 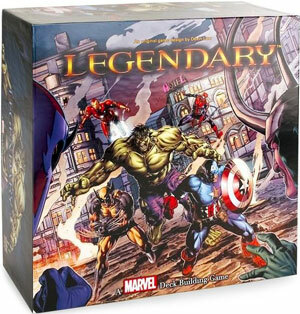 It already exist card games from Marvel, but not mobile. It's actually a good idea. Marvel belongs to Disney, so no, nothing poor about marvel. Disney and Netease; can't it get even worse? Ben Brode working on a Marvel project sounds exciting to me. Seems like the right guy to make a Marvel game to me. Happy for him and the folks working with him. They are working on a mobile game. That investment they just received was from NetEase. Yes, that's the same company that made Diablo Immortal. I do hold more optimism for Second Dinner's mobile titles than Blizzard's as the former really seem to be passionate about their projects. Regardless, this should dispel any disappointments from early misconceptions. as long as we get an announcement video where brode shouts well met i don't care what kinda game these guys are making! Kamala is hugely popular. Kamala and Squirrel Girl costumes were huge this last Halloween. With no info on this game whatsoever, I can guarantee the newer generations of characters will be used. Marvel, ugh. I'm not going to play a game based on Marxist comic books. Study more dude...u really need education somehow. If u ever read Marvel comics u would see that ur state is ignorant and fail. They have several discussions between them about politics and economy aside of the villains and their mad convictions in some HQ's. He left Blizzard because Activision cut bonuses. Blizzard is known to pay less than average in the job market, and they made up for it with large bonuses. All of the well known Blizzard staff were trickling away after their salaries were cut. There is a difference between passion and making enough money to survive in today's economy. I think the Ceo or some major figure at Blizz took his settlement to pay his staff bonuses one last time. They restructured the bonuses into employees salary. Now, the boss doesnt make more than the entry level guys salary in a December bonus. It was an average 10% pay raise for everyone. So ya, a guy making over $300k might have paid his team of people a bonus out of the $30k pay raise he got. What does he need $30 million for if he's just doing meal planning? The only sad part about this, for me, is that it's likely a mobile title. Which is not bad by itself, but when you see passionate and talented people moving on from Blizzard, you do have a slight hope that they attempt to form a triple A studio instead of mobile. Because that's what Blizzard is going to be all about now anyway. Of course it makes sense that people who created one of the most successful mobile games would stay in that branch, but you know.... there was a small hope. Still good luck to the Second Dinner People, I'm sure their new game will be worth checking out. They got investment from NetEase - no thanks. Brode had potential when he broke free from Blizzard but accepting investment from a company like NetEase is questionable. Well it’s sort of ironic considering NetEase has their fingers in several blizzard pies over seas. (Would explain how they got the funding since they had already built that relationship with them). I’ll wait and pass judgement though , I just hope it’s not another card game. So Iksar or Mike Donais do an interview about the state of the game and even hinting at upcoming changes and hearthpwn doesn't run it. But Ben Brode's new game is hearthstone news worthy? I miss Brode as much as the next but this isn't what hearthpwn is supposed to be for. I love this site as its where I want to go to get all my hearthstone news. I dislike it when the devs have something to say and I can't find it here. Like iksar having a reddit ama where he basically hinted at druid and odd pally changes. Or Mike Donais for the changes before that on I believe PC gamer or some such site? They might not be as popular but they still are a couple of the main faces we have now. Don't ignore them. It's probably worth remembering that this is a casual gaming fansite - not an information clearing-house for Hearthstone. As a result, over the years, dozens of interviews haven't been featured on this site, for all kinds of completely acceptable reasons - it's not a big deal. I'm not sure what hearthpwn "is supposed to be for", but presumably, the sky won't fall if the folks who originally made the game receive a two-sentence write-up once every six or seven months regarding their next project. If I'm wrong, and the sky does fall - my apologies for making light of the apocalypse.